I started CrossFit in 2012, but an interest in fitness is something I have always enjoyed. 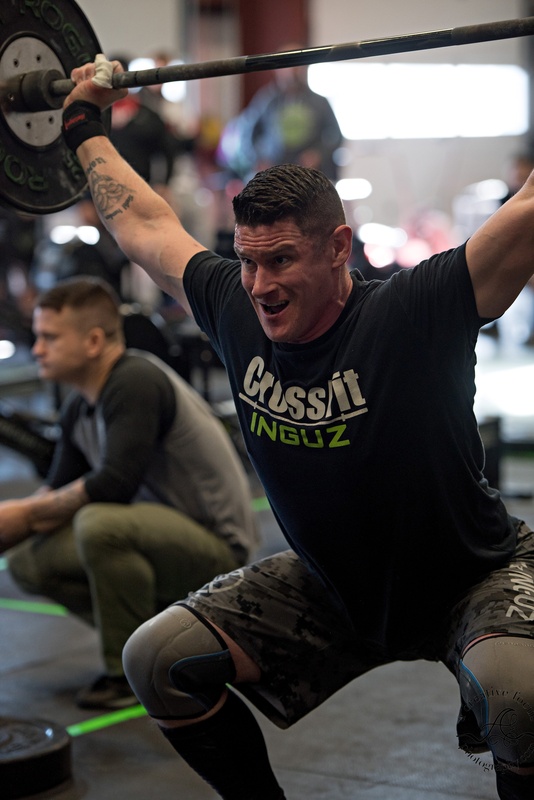 Prior to CrossFit I had never really put forth the effort I knew I could until I was inspired by my first CrossFit Coach. In the years before, I had played sports, tried Arnold Schwarzenegger’s Body Building program, P90X and P90X Plus. All of which worked, but nothing that I could stick with. Typically I would be motivated for 6 months and then lag for 6 months before continuing the cycle again. Serving in the United States Marine Corps and now the United States Coast Guard also did not help with my routines as the constant deployments would interfere. Since being introduced to CrossFit, it’s like a great novel I can’t put down. I have to keep going, keep improving, and since I have started, I have not stopped. Right from the start I was inspired so much by my coach at the time that I realized I wanted to learn more and become fully immersed with knowledge about fitness. So in the fall of 2012 I started working toward my Associate’s Degree in Exercise Science with an Emphasis in Personal Training, with International Sports Sciences Association. While I love CrossFit and its methodology, I also wanted to know more about fitness, the body and how it reacts to exercise, and then apply these tools to help others who want to become more fit, stay healthy and enjoy life. Even with all that information I still have learned just as much by doing CrossFit, such as proper form, how my body reacted and how to listen to my body. Incorporating just these few things when you first start will be a good base to succeeding toward your own goal. As a coach I can share all this knowledge I have learned to those that seek this information. Never stop improving, have fun and learn all you can about fitness.